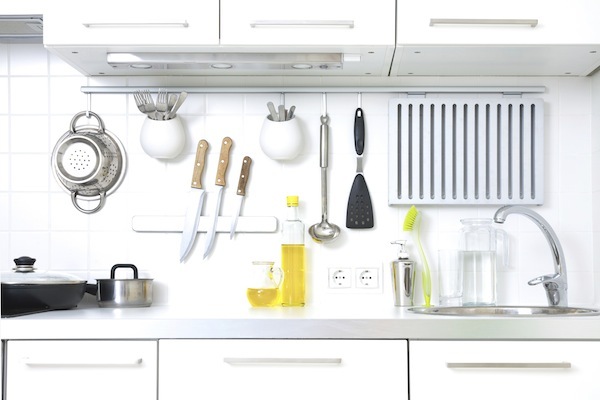 Kitchen appliances are notoriously expensive and sometimes you don’t know if what you’re buying is going to work. 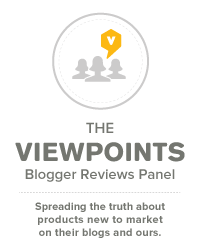 But, you can trust Viewpoints Reviewers’ Choice award winners, and Wal-Mart is the perfect place to find them, including a couple Best Value ones. You might have just over a week to finish up your Christmas shopping but if you’re hoping to hit up Wal-Mart sales without having to actually step foot in the store you only have four days left to get free shipping by Christmas, on purchases of $35 or more. And word is, Wal-Mart might be the best place to stock up on your Viewpoints Reviewers’ Choice winners before free shipping ends on the 20th. But which winners are seeing sales right now? Let’s take a look. The West Bend Bread Maker can make crusty bread, sweet breads or French bread. 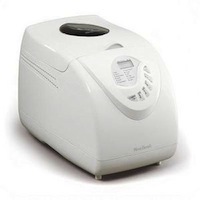 This West Bend Bread Maker is a Reviewers’ Choice winner with a score of 91/100 based on 15 reviews. This bread maker can handle up to two pounds of dough, make three different loaf sizes and has 12 pre-sets including basic, French and sweet. On sale right now for $59, the originally priced $99 bread maker is praised for its ease and reliability. The Hamilton Beach Big Mouth might not have gotten the Best Overall award in the juicer category, but with a score of 87/100 based on 67 reviews it did earn the Best Value one. And now this money saving juicer is discounted even more, down $10 from $59 to $49. Called the Big Mouth because it can fit whole fruits and vegetables into the top and juice them you don’t have to cut anything up first like you do with most juicers. It will also make juice with and without pulp. According to Viewpoints reviewers, this juicer is worth investing in despite the fact it’s a little noisy. The BrewStation has a built in carafe so you don’t have to worry about spills or breaks. The Hamilton Beach BrewStation is a different kind of coffee maker. Its 88/100 score based on 59 reviews makes it a Reviewers’ Choice winner, but it is the machine’s unique design that got it there. The BrewStation has an insulated tank where it keeps your coffee once it is brewed, so there is no need for a carafe. Once it is done, just press your mug against the button on the machine until it’s full. You can use any kind of ground coffee with it and can even brew ice coffee. At Wal-Mart this coffee maker is on sale for $34.99, which is down from its original price of $37. Another Hamilton Beach Reviewer’s Choice winner is The Scoop Single-Serve. Unlike other single-serve machines, you can make coffee with any grounds you like and it will make your coffee in your favorite Christmas mug or in your travel one for your morning commute. On sale for $59, down from $70, this 94/100 scoring coffee maker is thought to be even better than Keurig. The Keurig Special Edition has three different cup-size settings. 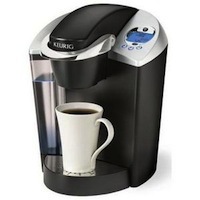 Everyone knows about Keurig, the most popular single-serve coffee maker on the market. It is nice and easy: set down your mug, pop in a K-Cup, press a button and wait up to 30 seconds and you have a cup of coffee, tea, hot chocolate or apple cider. 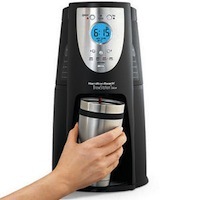 The Special Edition also lets you set the water temperature, set auto on/off and accommodates travel mugs. Known for its high price, this Reviewers’ Choice Best Overall single-serve brewer is on sale for $139, originally priced at $150. Rated 92/100 with nearly 1,000 reviews, it is easy and brews good coffee according to reviewers. Hamilton Beach is the winner, yet again, of the Best Value Reviewers’ Choice award in the stand mixer category. With a score of 94/100 based on 17 reviews, this mixer has a 4.5 quart bowl and 12 settings for different kinds of mixing. It is on sale right now at Wal-Mart for $149-$159, and was originally $220-200. Only a few days left to get great deals on reliable products. Like any product, Reviewers’ Choice winners are not infallible, but if you are interested in these winning products, you should definitely look at Wal-Mart sales both in store and online. Though there are reviewers on both sides of the fence, an overwhelming number are happy with these products and not only recommend them, but swear by them.